Back in June of 2015, we reported on a number of unique, interesting, and downright bizarre Kickstarter projects. There are a lot of new cycling-related products that are launched on Kickstarter, as the crowdfunding website allows creative minds to be partnered with the necessary investment in order to get their engineering project off the ground. Some of the ideas are brilliant, and some of them are…less so. One of the more sound projects we highlighted was the innovative ShockWiz from Dusty Dynamics. Built as a small unit that plugs into the air valve on your fork or shock, the ShockWiz was developed by an Australian inventor called Nigel Wade. Wade wanted to create a simple wireless device that could give the rider information about their suspension performance, then provide recommendations on how to adjust your fork and shock to improve that performance. The ShockWiz has come a long way since the original Kickstarter project. “ShockWiz is an automated suspension tuning system for air-sprung mountain bikes. 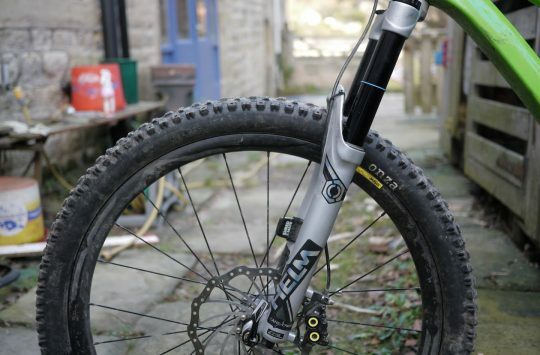 It is small, lightweight and unobtrusive, attaching to either your fork or shock. While you ride, it performs thousands of calculations to analyse your riding and finds anything undesirable with your set-up. 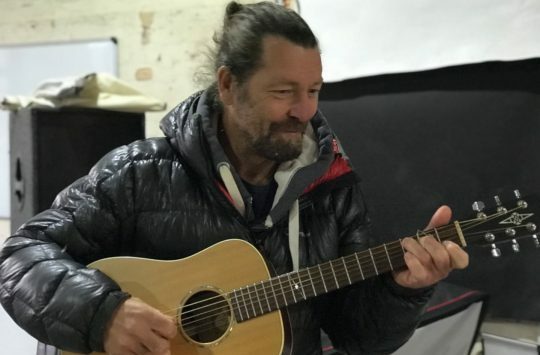 It will then tell you how to change your set-up via Bluetooth 4.0 to your Apple or Android phone, so that your bike can be optimally tuned for you, and you can get on with enjoying the ride.” – ShockWiz. With an extendable hose, the ShockWiz attaches to the Schrader valve on your fork or shock to measure the suspension performance during a ride. 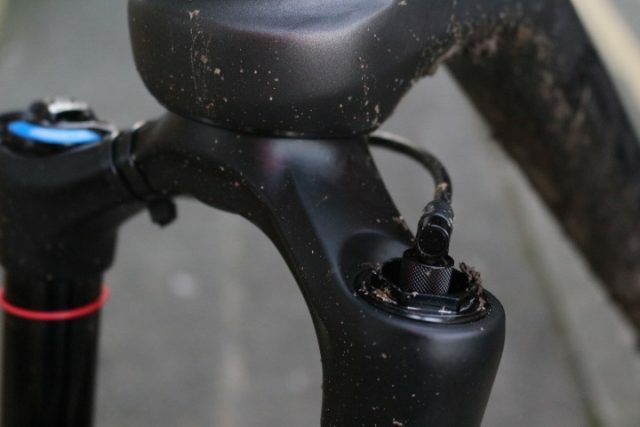 If you’ve been following the project, you’ll recall that SRAM purchased the ShockWiz back in July of this year. Wade stayed on to work full-time on the project, while SRAM & RockShox engineers arranged for production units to be produced in Colorado at SRAM’s Quarq facility. 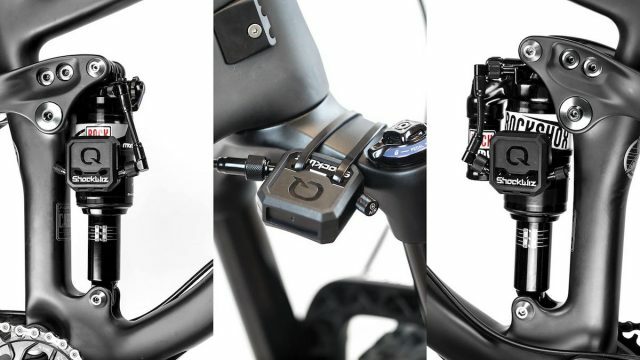 Quarq designs, tests and produces power meters that are available aftermarket and on select SRAM cranksets, and so has the necessary expertise to produce wireless and electronic devices. You can fit the ShockWiz to your air-sprung fork and shock. 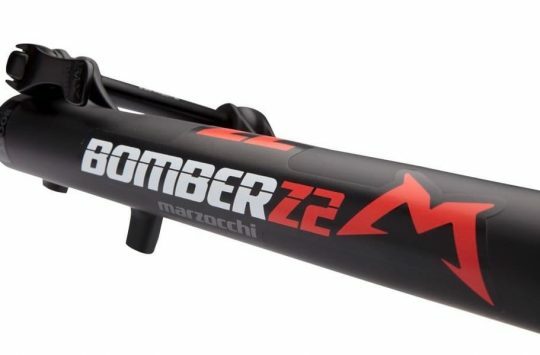 It’ll work with other brands aside from RockShox, but there are some models that it won’t work with (see below). 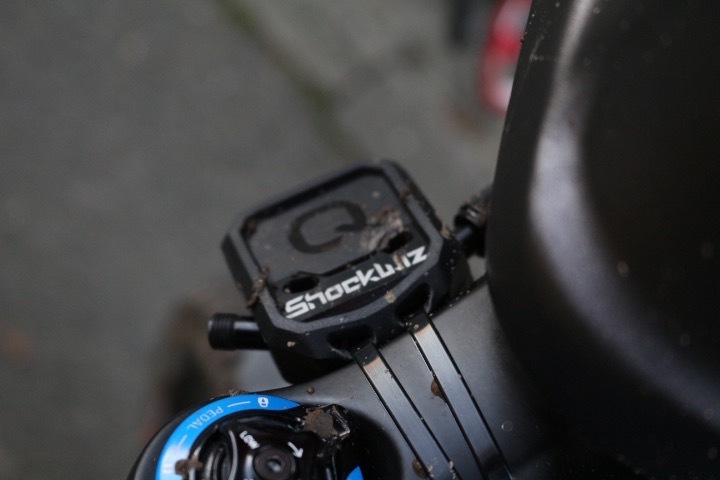 Since the original prototype from Dusty Dynamics, the Quarq ShockWiz has become a much sleeker and much more compact unit. The case itself is waterproof and has an extendable hose attaches to the Schrader valve on your fork or shock. Inside the case is a highly accurate pressure sensor and microprocessor that samples air pressure 100 times-a-second as you’re riding. The ShockWiz makes various calculations based on the changes in pressure, and is able to work out how much travel you’re using, and whether your fork/shock is pogoing, packing-down, or bobbing. The ShockWiz unit is compact and it uses Bluetooth 4.0 to transmit data to your smartphone. In the above screen grabs that have been taken directly from the ShockWiz app, you can see how it will appear on your smartphone. In the above left image, the ShockWiz is making an assessment of the suspension performance based on the data it’s provided. At the base of the screen, you’ll see a ‘Confidence’ score, which is referring to the accuracy of the data. Put simply, the more you ride with the ShockWiz, the more it learns about your suspension, and the more accurate its recommendations become. 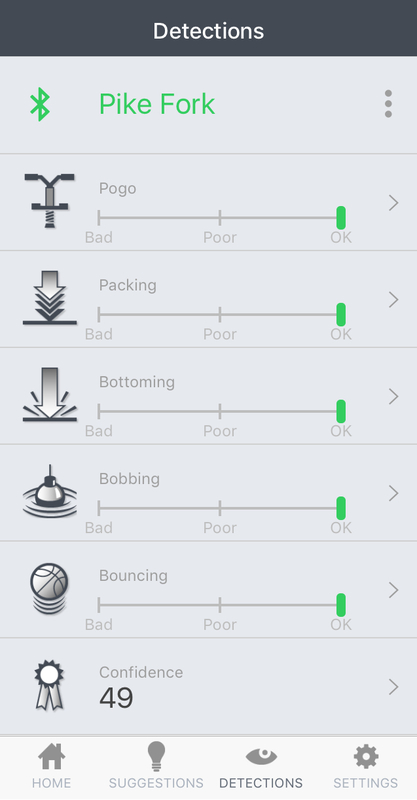 In the above right image, you can see an explanation of “Pogo”, which refers to the suspension rebounding too quickly. 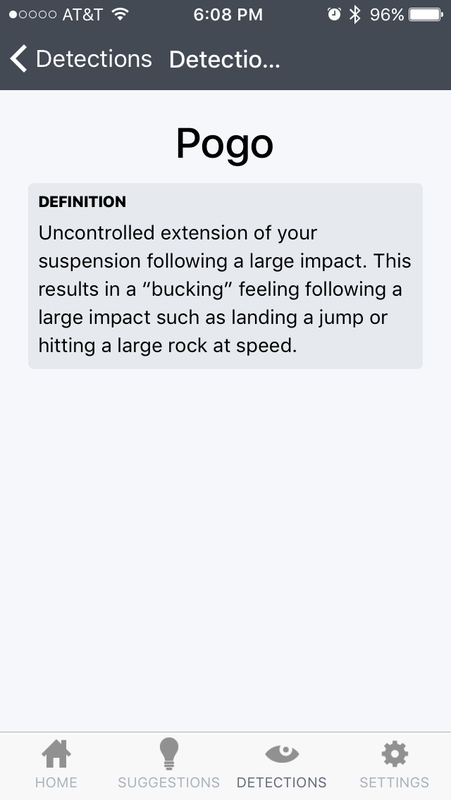 The app provides a description for each suspension characteristic it’s detecting, so it’s easy for any rider to understand. 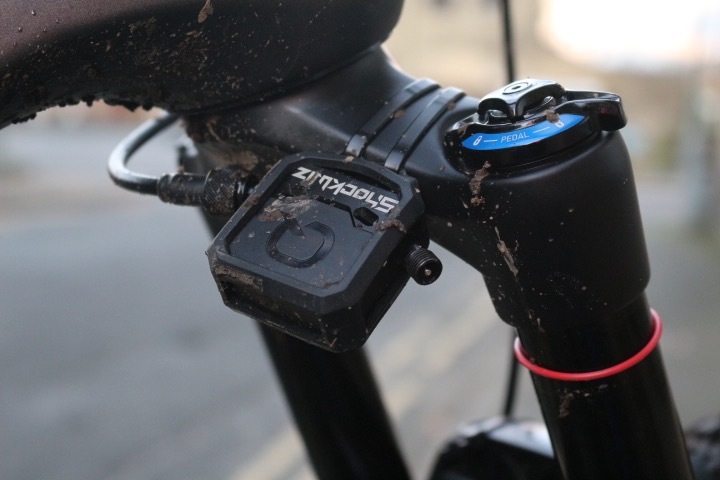 This is important, because the ShockWiz is designed to be used by any mountain biker – not just suspension experts and bike shops. In the above screen grabs, you can see that the ShockWiz app has taken some data from our ride, and is making recommendations. 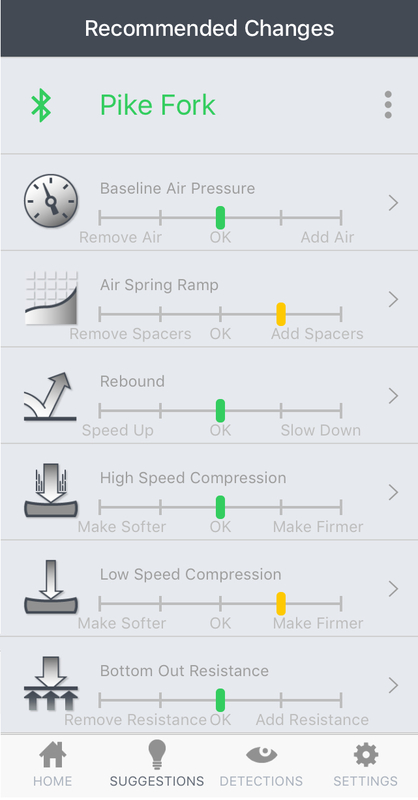 Those recommendations include adding spacers (Bottomless Tokens in this case) to increase the ramp-up for the air spring, as well as increasing the low-speed compression damping. And in the left hand screen grab, the app explains exactly what you need to do with each recommendation. Do you dig the idea behind the Quarq ShockWiz? Is it something you’d be interested in trying on your hardtail or full suspension mountain bike? Or perhaps you’re one of the original backers and you’ve already got your ShockWiz? Whatever the case, let us know what you think and leave us any questions you might have, and we’ll do our best to answer them for you as soon as possible. WTF: Bird Of Prey 'Planking' Bike? I’d really like to try them, if I’d seen the kickstarter I’d have been a backer and if the price isn’t ridiculous I will be tempted when they are released. Assuming a price around £200 I’ll be reaching for my Visa card as soon as Wiggle gets stock. XC, trail, AM and DH. I agree with the need for to tell the app what your goal while riding is, but I don’t see how that translates into XC vs DH in suspension tuning. Everyone wants their rebound fast enough to prevent packing up but slow enough to prevent ‘bucking’ on big hits. That requirement holds true for both XC and DH. Everyone wants their suspension soft enough to track over small bumps for maximum traction, but firm enough to prevent diving under braking, or while cornering and pumping/pedaling. Again, I don’t see where the distinction of XC vs DH comes in.